Meet and network with other alumni in Malaysia’s Kuala Lumpur area, or learn about the Malaysia New Zealand Chamber of Commerce. 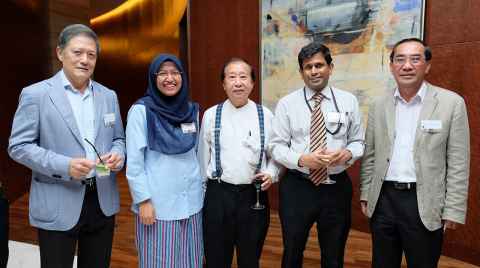 Alumni of the University living in and around Kuala Lumpur, Malaysia, are invited to take part in the Kuala Lumpur Alumni Club. The club is led by Volunteer Alumni Coordinators Kee Chiang “KC” Yong, and Hui Wen Tan. Hui Wen came to the University in 2009 to read law. After completing her Bachelor of Laws, she returned home to Malaysia to launch her career. “Kuala Lumpur’s vibrant city life and growth as an alternative dispute resolution hub in Asia, coupled with rapid development in Malaysia pulled me back for legal practice,” Hui Wen says. Hui Wen is currently a Dispute Resolution Associate at Skrine, a top-tier law firm. She advises and acts for private sector firms, government-linked companies and state bodies in commercial, land and public law disputes. Outside of the legal profession, Hui Wen is passionate about youth empowerment. She coaches university students in mooting competitions and assists students from refugee backgrounds with public speaking. Hui Wen is also no stranger to the sports field. She once competed at an international dragon boating championship in Hong Kong, dressed as the Mad Hatter in the middle of summer. Unsurprisingly, her team emerged victorious! Hui Wen would love to hear from alumni based in Malaysia. She is happy to talk to anyone interested in moving to Kuala Lumpur or pursuing a career in the legal profession. KC was awarded a Bachelor of Engineering in 1971, and since then has been active in the promotion of bilateral business and investment between Malaysia and New Zealand. After leaving the University, KC worked for various firms in New Zealand and Asia before joining an American consultancy firm, Stanley Consultants, and starting his own engineering practice in 1978. In 1983, KC and another Auckland alumnus set up a partnership with Babbage and Partner Malaysia. In 1994/1995, he represented Works Consultancy in Malaysia, before establishing a partnership with Carson Group in 1997. In 2000 and 2001, KC was appointed director of Argest Technical Services Ltd of Auckland, which is involved in the facilities management services. KC has been very active in the Technical Association of Malaysia (TAM) and Institution of Engineers Malaysia (IEM), serving as National President of TAM from 1991-1993 and Chapter Chairman of IEM from 1992-1994. He was also Chairman of MNZBC from 2001-2003. KC is presently involved in engineering consultancy, building and construction, property development, education, investment, immigration, and financial services in Malaysia, New Zealand and China. He travels frequently to China and New Zealand. KC is married to Siang, who studied at Otago University. Together they have two daughters who both graduated from the University of Auckland, and a son who graduated from Victoria University. KC's younger brother and two nephews are also engineering graduates from the University, and he also has two nieces currently studying here. The Malaysia New Zealand Chamber of Commerce provides a platform to engage with local businesses, and maintain connections with New Zealand.